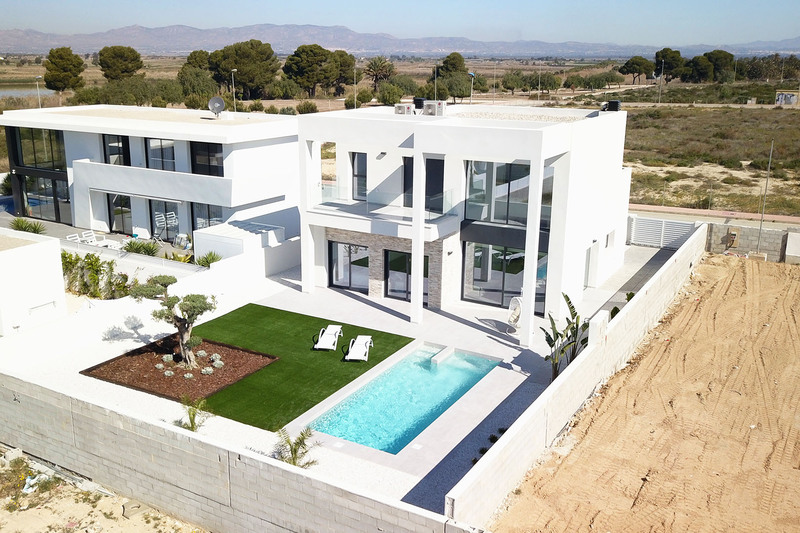 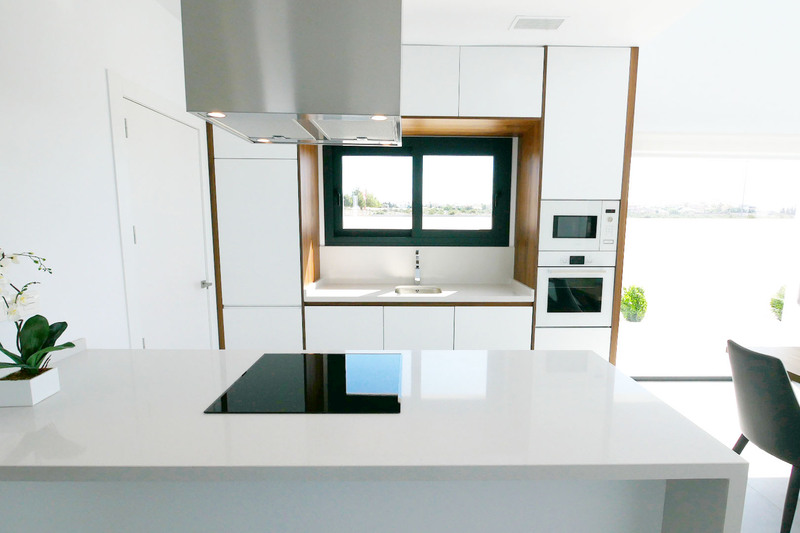 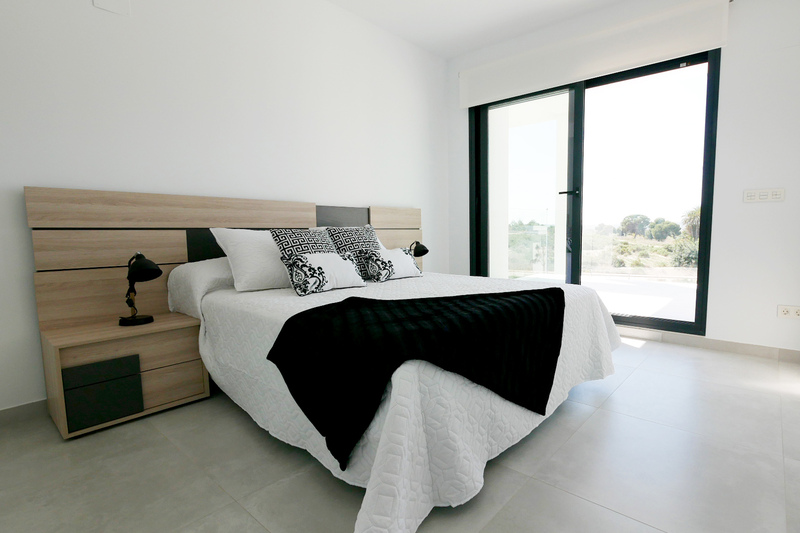 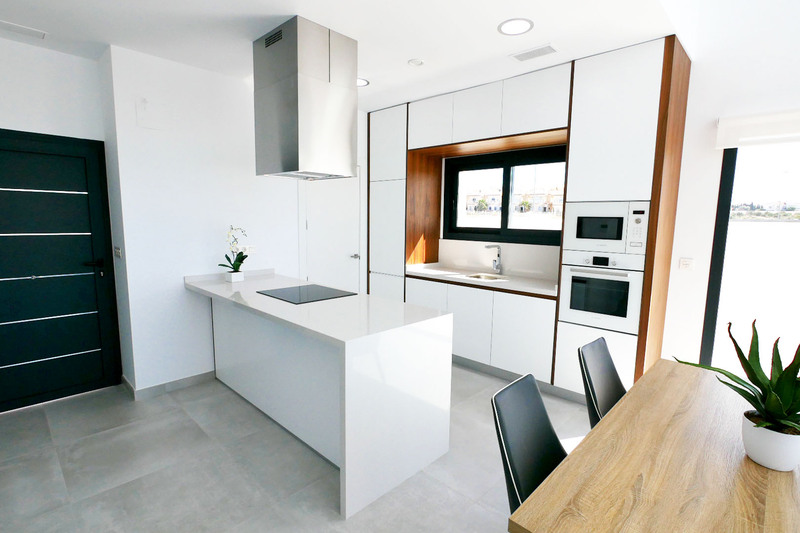 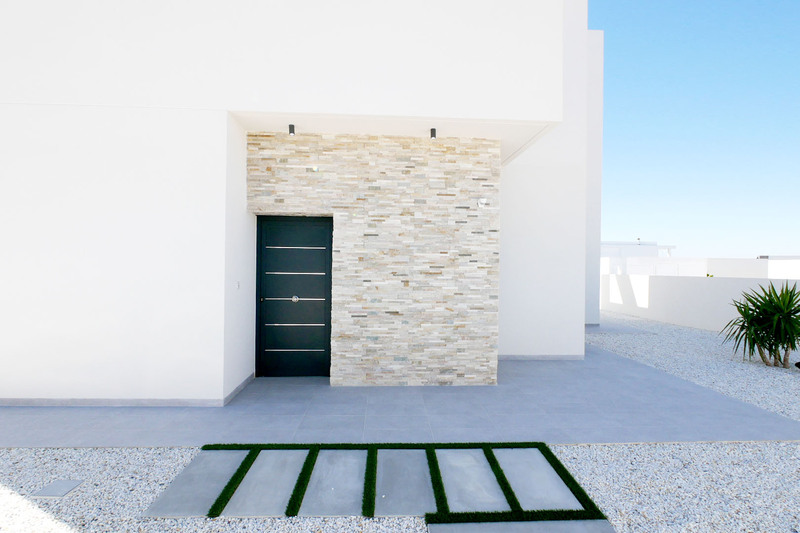 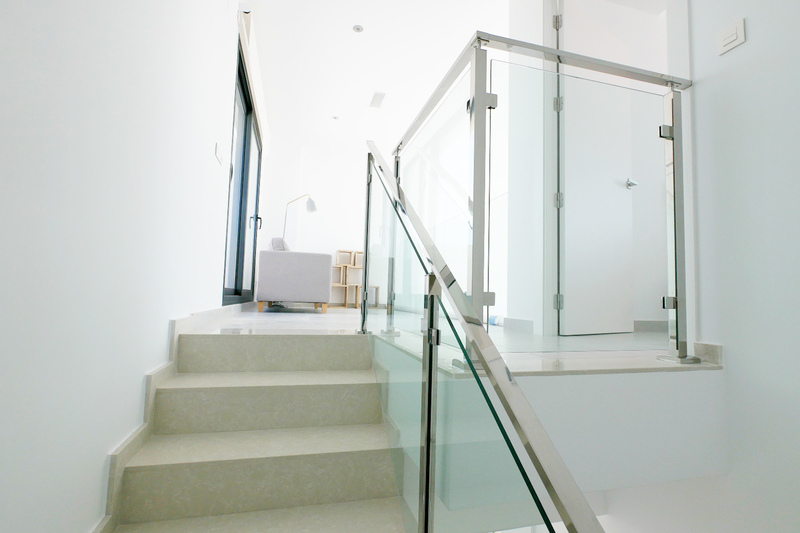 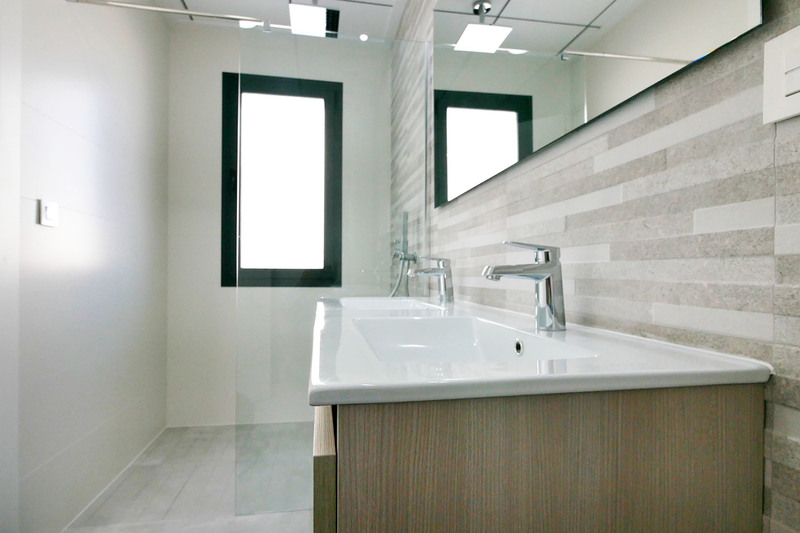 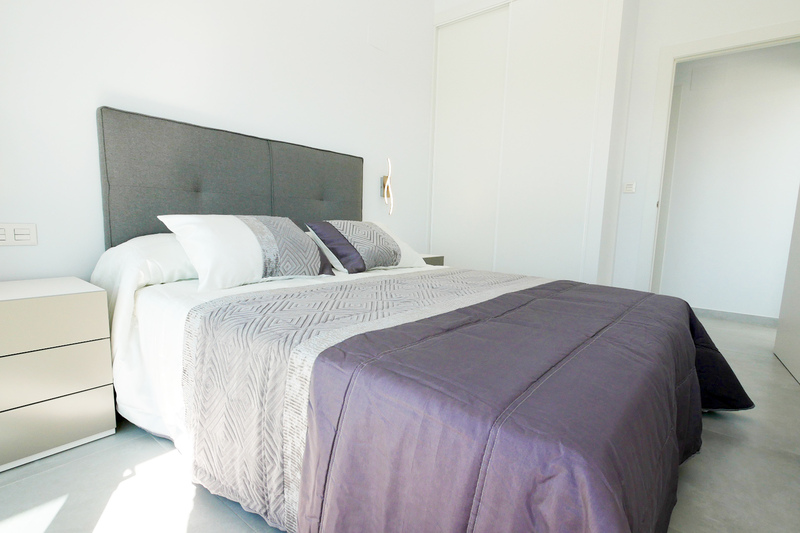 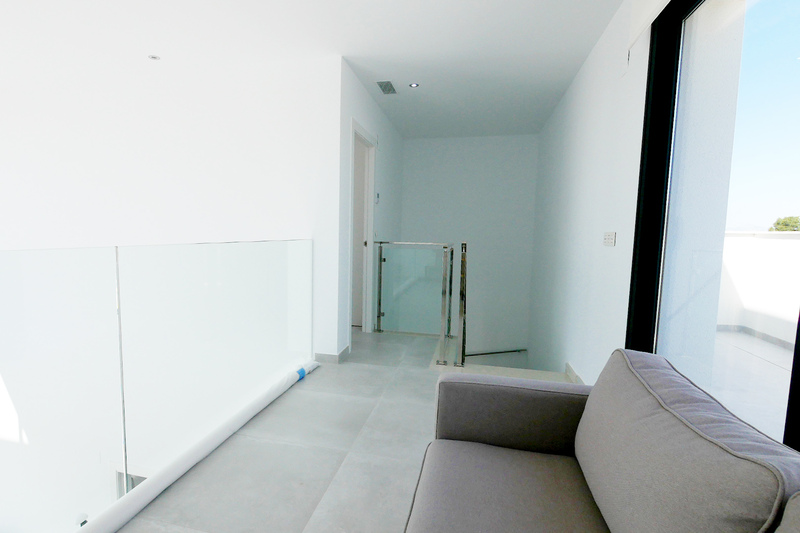 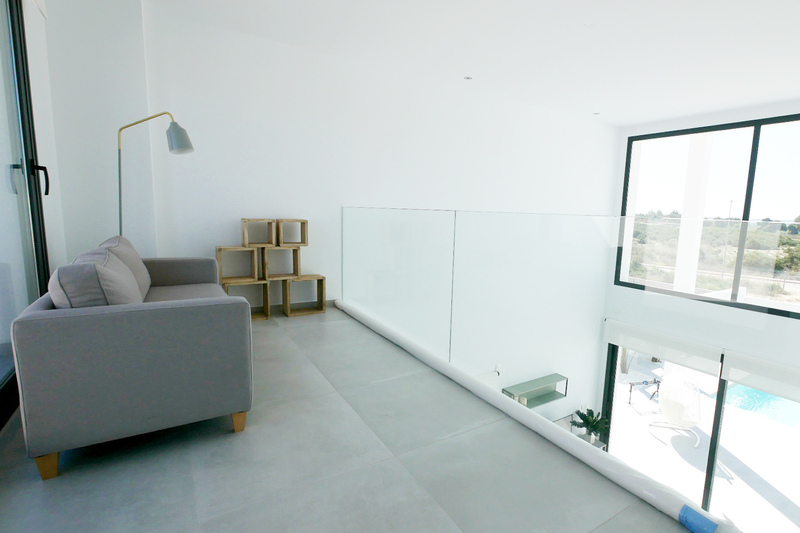 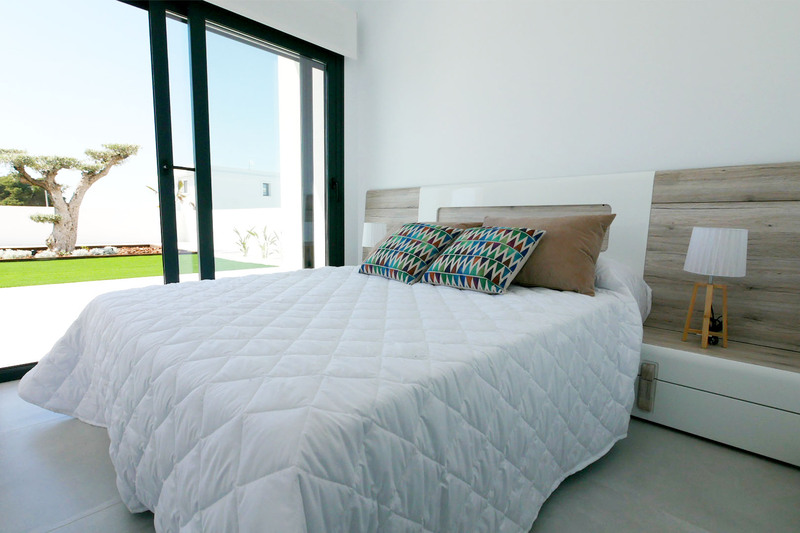 Brand New modern villa located in the urbanization La Marina, a privileged area of the Costa Blanca equipped with all services, 20 minutes from Alicante Airport, near the beautiful beaches of Guardamar del Segura and 2 km from golf courses. 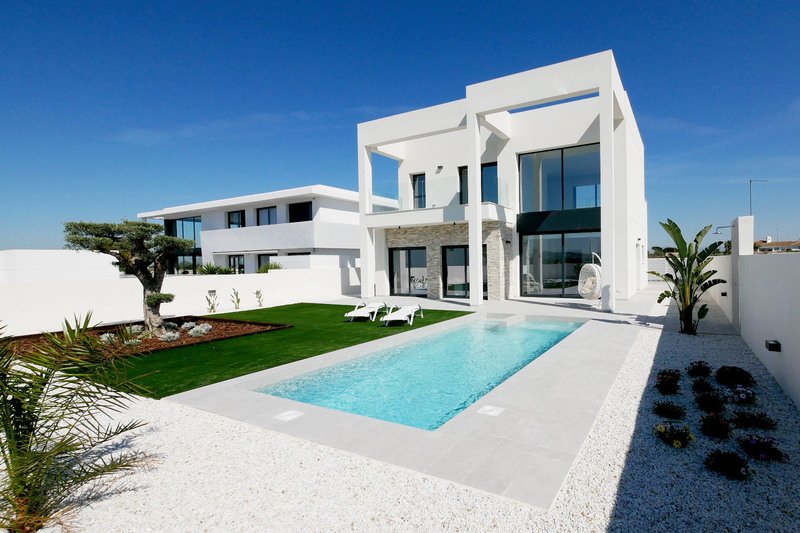 The villa has a large plot that integrates the parking area and a beautiful garden that has a modern private pool. 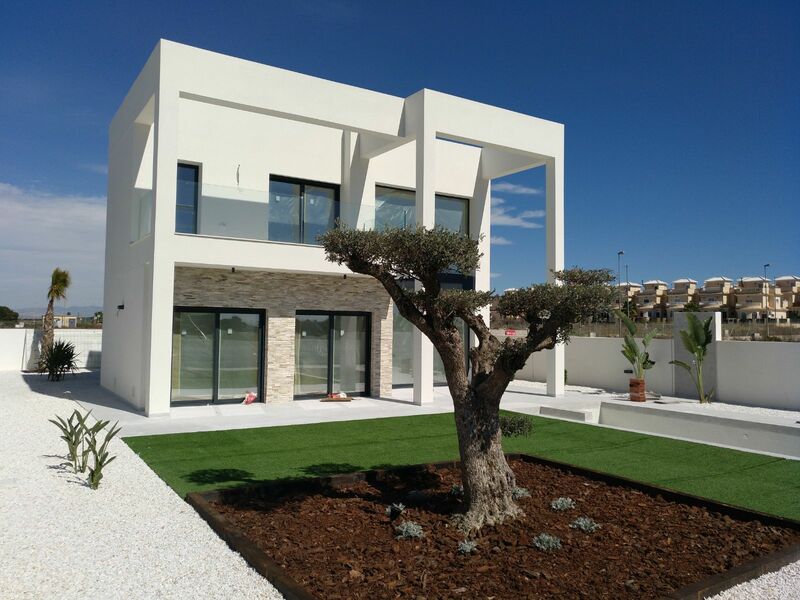 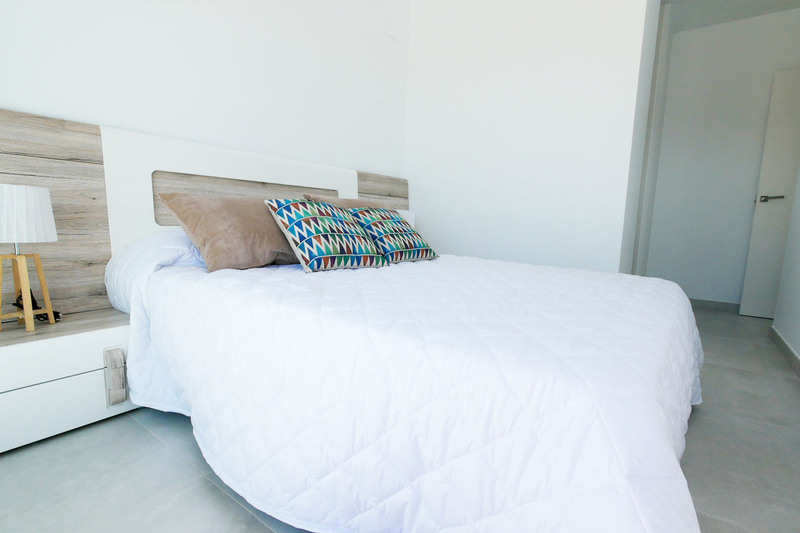 The villa has 1 large living room that overlooks the garden, 3 bedrooms with dressing rooms, open fitted kitchen, 3 furnished bathrooms, 1 storage room and 2 large terraces.